Florence Stainier, Arendt & Medernach S.A.
Florence Stainier is a Partner in the Investment Management practice of Arendt & Medernach S.A. where she specialises in legal and regulatory matters related to investment funds and management entities. 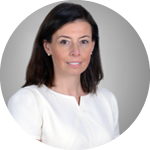 She advises clients on the creation, structuring, marketing and operations of investment funds with a particular focus on UCITS, alternative UCITS, hedge funds and ETFs. 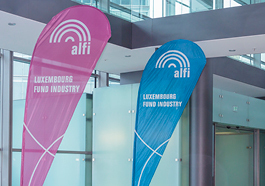 She is participating in several working groups of the Association of the Luxembourg Fund Industry (ALFI) in particular relating to MIFID, Islamic finance and UCITS matters. Florence is a member of the Luxembourg Bar. Industry drivers: where is the asset management industry heading? This panel will discuss the latest trends and industry drivers such as Brexit, FinTech, ESA review, CMU and the impact of regulatory developments. UCITS came to life 30 years ago when Luxembourg transposed the directive into its national legislation in 1988. The panel will explain how UCITS became a European success story, explain how UCITS can help raise assets globally, discuss the latest developments and trends in cross-border distribution and present new – and future – distribution markets around the world. Florence Stainier Partner Arendt & Medernach S.A.